When it comes to snacks, it is getting harder and harder to find a delicious yet healthy option. Snacks are usually either tasty and unhealthy or healthy but unappetizing. 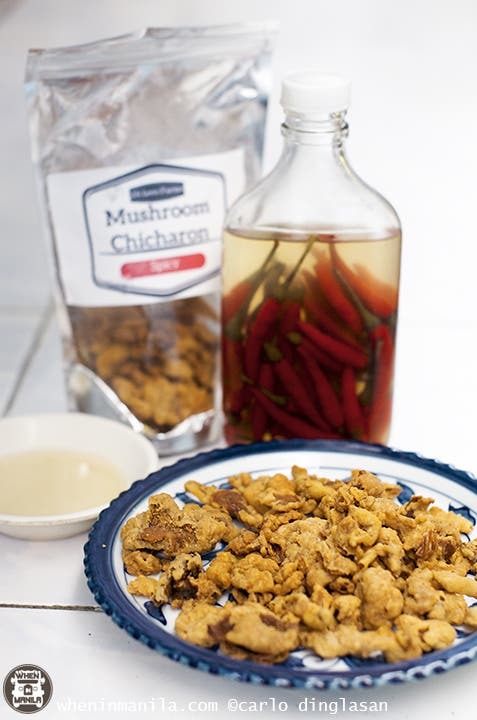 Well, JA Lees Farms concocted a healthy and tasty alternative using organic oyster mushrooms (Pleurotus ostreatus): Mushroom Chicharon! How did it start? By growing various vegetables in their farm in Indang, Cavite. This was where JA Lees Farms became convinced that there was an opening in the Philippine snack market for a healthier option. Everything began with original flavor, spicy, and garlic; but they soon expanded with flavors like wasabi, peri-peri, and hickory BBQ, which are quickly becoming popular, as well. From the 6 samples I had with friends and loved ones, I enjoyed the garlic flavor the most, even though the spicy one was the closest tasting to real pork chicharon. 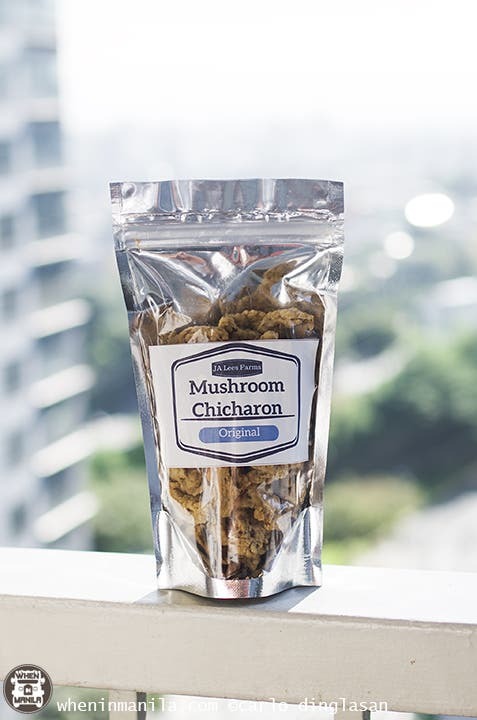 Oyster mushrooms have a mild taste, cook quickly and absorb flavors well, making them popular choices in Asian cuisine – and in this case, the mushroom chicharon. Even if the mushrooms are heavily flavored, you will still be able to taste the earthiness of the oyster mushrooms. Best served heated (microwave on high for 1 minute or bake for 5 minutes at 250ºC) and like other chicharons accompanied with your favorite vinegar (Pinakurat in my case); you can have it as a snack, a pulutan during a drinking session with buddies, or even as ulam (the peri-peri, in particular) with hot rice – a pleasant surprise in my experience. Will it be the original flavor? Do you want it spicy? A hint of wasabi? The spices of the peri-peri? The bold flavor of the hickory BBQ? Or my personal favorite, the garlic flavor? Whatever floats your boat, JA Lees Farms Mushroom Chicharon has a healthy snack for you to enjoy. Not bad for just Php140 a pack, right?